India’s internal security commitment in the north east is well over the half century long mark. In Jammu and Kashmir (J&K), it has gone beyond a quarter century. In both cases it can reasonably be argued that there have been periods of quietude in which peace process could have been progressed to see a viable termination of respective insurgencies. In neither case has this apparently been possible. A consequence of political inattention to conflict resolution has been in a continuing deployment of the army under an unpopular law, the Armed Forces Special Powers Act (AFSPA). It can be inferred that the belief underlying the status quo is that the army can indefinitely sustain such a deployment and its effects. Successive army chiefs have, usually while demitting office, pointed out that this is an unsustainable belief. Internal security duties have a long term and deleterious effect on the army and therefore they have urged political engagement in restoring normalcy. However, the situation has remained largely unchanged. There is even a danger of the army itself buying into the belief that its deployment is indispensible to national integrity. An argument could go that though there was a respite from 2004 onwards in Kashmir, its disruption in 2008-10 and more recently this year, suggests that army deployment is inescapable. Not all effects of such deployment are harmful and those that are can be mitigated by requisite leadership and training. The army has sufficient depth in terms of numbers and moral resilience to be able to sustain such deployment indefinitely; or so an argument can go. This article argues that the assumption of the army’s ability to sustain army deployment in a counter insurgency role in numerous states indefinitely is fallacious. The army has to push back on the internal argument that this is possible and to push on with persuading the political leadership that democratic solutions politically arrived at, are answer to disaffection of people. Lack of energy in a narrative along these lines is a pointer that winning the argument for this internally will probably as difficult as selling it to the political class. The danger is in the counter argument – of the army’s indispensability militarily propping up national integrity – making the army acquire a stake in the disrupted security situation. It should not be that institutional interests keep the army from a strong case arguing for its return to barracks where such a distancing from an internal security situation warrants it. Doctrinally, the distinguishing feature between internal security situations that call for army deployment appear to be the prevalence of or potential for an ‘external’ hand. For instance, where this is stark - such as in J&K – for the army to have a role is perhaps understandable. On the other hand the army’s reluctance to get into anti-Maoist operations in Central India had the absence of the external factor marking it. Interrogation this rather easy distinction yields up some startling revelations. A popular portrayal of Pakistan is that it is out to repay India for India’s success in East Pakistan. Pakistan wishes to go further by administering India a thousand cuts. Its army being in charge of that state ensures adversarial relations in order that it gains a giant cut of the state pie. In nutshell, there are cultural and organizational theory relevant arguments explaining Pakistani hostility. The realist argument is somewhat muted, since it shows up Pakistan’s security dilemma that might be prompting Pakistani action. The realist argument needs unpacking further since it provides a rational basis for Pakistani actions; something Indian analysts are largely in denial over. Their view is that India is a non-threatening power and a counterview that it is threatening to its neighbor is an unsustainable aspersion. To the extent that the power imbalance is taken into account, it is to arrive at a conclusion that Pakistan should instead choose to bandwagon with India rather than try and balance it. The argument here is that Pakistan, led by its army, is a rational actor in the realist mode. It espies a power imbalance with India that it then proceeds to respond to with external and internal balancing. The external balancing is in the form of action as a rentier state, renting out is strategic location for use by great powers, both US and China. Internal balancing is in creation of ideational resources, such as a jihadi sentiment and proxy forces, as force multipliers. The external imprint of the latter is in the proxy war. The latter is less on account of rationalizations such as Kashmir being a ‘jugular vein’ but for tying down India’s surplus military power in troops intensive counter insurgency operations. 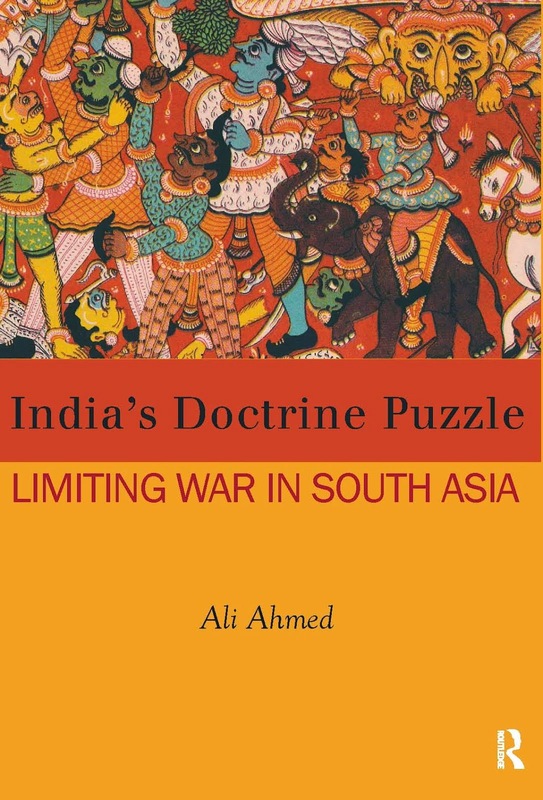 India emerged as a preeminent power in South Asia in wake of cutting Pakistan down to size in 1971. It continued on its power trajectory with one doctrinal and organizational move following another. India’s going nuclear and mechanization date to the seventies. Continuing of mechanization, regional power aspirations and covert nuclearisation were in evidence in the eighties. A third strike corps, expansion through raising of the Rashtriya Rifles (RR) and over nuclearisation were hallmarks of the nineties. The 2000s saw doctrinal evolution to ensure the continuing utility of conventional forces into the nuclear age. The current decade has seen an arming so as to make doctrinal aspirations a reality. 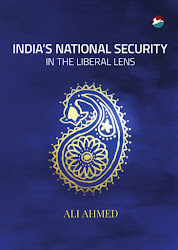 The security dilemma India posed Pakistan through its periodic military upgrades and power aspirations, led to a Pakistani counter. Analysts selling the notion that India is a reactive and defensive power purvey the narrative that it is Pakistan’s covert nuclearisation that spurred India down the nuclear path. It is Pakistan’s proxy war in Punjab that furthered mechanization, so as to enable India to conventionally deter this and to administer a punch if needed. Its raising of the RR was to refresh its conventional deterrence against proxy war that shifted from Punjab to Kashmir. Its doctrinal movement was once again to refurbish conventional deterrence since Pakistan upped the ante in Kargil and through mega terror attacks. India’s spending on arms is only kept pace with its economic trajectory and is designed to keep Pakistan from yet again stepping up proxy war in Kashmir. Pakistan’s irrational attempted matching of India has led to its own security dilemma in India’s counter action. This essay cannot settle this debate. Suffice it to point out that Pakistan’s India strategy is rational in the realist vein. Armies universally are known to be realist and conservative institutions. Pakistan’s army has trained in US military institutions since the fifties. Realism has been the dominant perspective in the US all through its super power years. Realism provided Pakistan the best perspective to cope with its tragic halving in 1971. It enabled the Pakistan army to ignore its own actions in East Pakistan and see India’s actions and power as accounting for this debacle. It has therefore deepened the realist hue with which Pakistan views India. It sees India’s power unmistakably, something Indian analysts are unable to see themselves. Further, there are aspects of India’s power and its instruments that escape scrutiny in India but are not lost on Pakistan. Amb. Rasgotra in his memoirs describes an encounter with Musharraf in which Musharraf cryptically refers to Indian actions that Pakistan is best positioned to register that account for what Pakistan does back to India. This requires factoring in to understand Pakistan’s view of India. Further, Pakistan has largely proved a rational actor. It did not provoke a war in 1971 War till the very last minute when it was obviously into its third week. Emerging history of the war indicates that India had ventured across the IB sometime 20 November onwards. Musharraf’s memoirs tell of his frustration at missing out the war when Yahya Khan refrained from opening up the southern Punjab and Rajasthan front. Another example of Pakistani rationality is in its Kargil intrusions. Whereas this example might not readily be taken on board, it can be seen as a limited incursion with limited aims as part of conflict expansion along the LC. What India did along the Neelam valley and earlier in taking Siachen, Pakistan attempted to replicate in Kargil. Pakistan rationally kept to its limited aims even while being evicted by not upping the ante and stepping down when it knew its game was up, even at the cost of loss of face. Attributing expansive aims to Musharraf prevents grasping the limitations. The relatively insignificant locale enabled India to keep its counter limited and Pakistan to retrace its steps. The bonus Pakistan got, and perhaps the gains it was really seeking, was in enabling an extension of the proxy war in Kashmir by another half decade. The spurt was such that India was unable to regain the status quo ante without upping the military ante in Operation Parakram. The resulting pressures led up to the tacit ceasefire and the Vajpayee-Musharraf deal that brought about a hiatus in Kashmir in 2004. This recounting is necessary to establish Pakistan’s army is rational. It is seized of the power asymmetry with India and imbued with realist rationality, seeks to address it. A counter-factual helps prove the point. A liberal perspective might have helped it to bandwagon. We know that the confidence building route via civil society and commercial interest convergence in thinking on peace has had its limitations. The holdup has been from the side of the security establishment, seized as it is with the power differential. This worries them that in case of a peace embrace, it would still throttle Pakistan in terms of identity and imbalance in power, economic and cultural. The cultural argument that Pakistan is out to wreck ‘Hindu’ India is to resort to mirror imaging. It is an argument trotted out in majoritarian nationalist circuits to serve the prescription that this is what India ought to be doing to Pakistan in first place. The institutionalist argument that Pakistan army needs an Indian bogey to keep its bread buttered is an after-the-fact argument. It focuses on the institutional bonus for the Pakistan army, rather than on what prompted Pakistan’s view of India as a bogey in first place. This appears charitable to Pakistan by letting it off the hook as the sole South Asian villain. However, it is a sobering view of India in that it establishes that India’s growing power and India’s adeptness in its use will prompt certain actions by actors subscribing to realism. Pakistan’s sandwich of India’s conventional prowess with action at the other two levels – subconventional and nuclear – is better explained thus. This explains proxy war. Understanding this is necessary to examining its impact on the Indian army. Seeing Pakistan’s hand in Kashmir is easy. Assuming that it is to wrest Kashmir is to overstate Pakistani aims. As seen, Pakistan fears India’s power. It deems it necessary to tie this down. It got an opening it exploited fully in Punjab when India was moving towards mechanization. It gained another opening in Kashmir even as India was able to best the situation in Punjab. The Kashmir pot has been kept boiling so as to keep India’s shoulder to the wheel. This has in some estimates kept up to a quarter to a third of India’s army tied down in Kashmir. This includes the 740 km length of the Line of Control, in Siachen and in counter insurgency operations – protective, defensive and offensive. Since the expectation is that insurgency will spike in case of conventional operations, India raised the RR so as to recreate its offensive capacity. The Kargil War experience suggests that loosening the grip in conventional conflict might rebound over the long term. The disturbances this summer indicate that the RR might not be readily available for relieving the infantry from defensive tasks on the LC. It would have its hands full in its primary task. The Mountain Strike Corps has reportedly been aborted temporarily as being too manpower heavy. Thus, India might not have the offensive capability necessary to expand the scope of offensive operations in the mountain sector. This leaves the plains and deserts for a conventional punch, deemed necessary for refurbishing conventional deterrence to begin with. In the deserts, Pakistan has taken care to brandish its tactical nuclear weapons that can only be used where there is little collateral damage. This leaves the developed terrain for offensive operations. Analysts have pointed out that this is the place to apply military power since it neutralizes Pakistani tactical nuclear weapons. 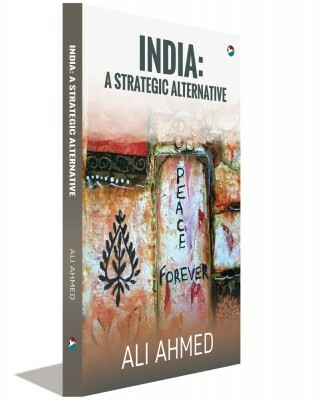 However, this suggestion was first made when the power of irregular – jihad inspired - forces to stump conventional forces in urban terrain was not quite so evident. In wake of Iraq and from the experience in Syria, it is clear that venturing into urban space would be to step into a meat grinder. Even if this is so for both sides, it is not a sane strategic choice to make at the outset when one has the initiative. This brings one to the salient point in this essay: Pakistan appears to have succeeded beyond its expectations. It has tied down surplus Indian military power. This is what it wished to do but it has manipulated India into believing in a narrative that enables keeping India tied down. Indian army sees its indispensability to conflict management in Kashmir. This prompted the army to stay on though the insurgency indices did not warrant this through the mid to late 2000s. The summer disturbances through three consecutive years did not alert the army to the possibility that its continuing presence might be part of the problem. Instead, the resumption of disturbances this year have only served to impress the army that it needs to stay on, and obfuscate the possibility that doing so sets up a self-reinforcing loop – its staying on provides the rationale for it to stay. It’s staying on keeps the AFSPA intact and popular disaffection alive. The army would be loath to accept this view widely held in liberal circles. It can be expected to the more responsive however if spelt out in the realist lens. As seen, the army’s conventional deterrent is under siege. Equipment injections are one manner of resuscitation. But there are other – perhaps less clear – areas that need equal attention. Most of these fall in the organisationnal realm. Take for instance the current day fracas between the arms and between the arms and services. The infantry and artillery officer corps have largely cornered the top echelons through the idea of pro-rata representation being extended into the general cadre. Their numbers elbow out other officer cadres from upper echelons. This has to some analysts contributed to a mandalisation of the army, with the elevation of mediocrity resulting in a deficit in operational art. The rise of the infantry and artillery in the ranks makes the brass from these corps secure what got them there in first place. Thus, counter insurgency and LC fire assaults are set to enter into the third decade. The second underside is that the army as a sop to the mechanized lobby has not been able to reconfigure the strike corps that are veritable steel dinosaurs in the nuclear age. Thus, we see the baleful effects of the counter insurgency era taking its toll. Equally less remarked on – and in retrospect this might be deliberately so – is the continuous expansion of the army. The army realizing that its forte is manpower is ready with manpower accretions as solution to each operational challenge, be it RR in face of insurgency in Kashmir or a mountain strike corps to face up to the Chinese. There is the two-front rationale thrown in for good measure. This is at the cost of quality at intake which an assembly line system of training cannot remedy. The officer corps is an example. The army intake of officers is of the order of over a thousand per year, and a third more than the civil services. While the officers are to regulate a million strong and disciplined army, the civil services help run a billion-strong country that is dysfunctional in some respects. This implies that there is no premium being placed on leadership or strategic sense since manpower is solution to every challenge. This has a drawback best viewed through military sociology. The composition of the army gets impacted in case of increase since this increase can only be serviced by regions that have recruitable manpower and without employment opportunities in other sectors. The figures routinely put out by the academies in relation to the recruitment base of graduates on their commissioning suggest a steady narrowing to a certain north Indian belt. In a voluntary army, this is taken as unremarkable, but needs to be seen in relation to their subsequent employment in counter insurgency in Indian regions with little resemblance to where they come from. There are also political tides in the north Indian belt that cannot but permeate the consciousness of the citizens from such areas and impact their attitudes. This implies there is a potential political bias in officers from such areas which might colour their professional showing. Finally, the military leadership that has risen on the counter insurgency tide of the nineties has to reckon with the ethical shortfalls some of its members took while in such operations. It is widely held that the agitating generation of today in Kashmir was witness to much gratuitous violence, some of which spurred leaders under whose watch this took place up the military hierarchy. Their sphere of impact has risen with their rise in rank. How this has affected the overall ethos of the army is a moot question. Since these issues are seldom discussed, this is liable to be mistaken as impressionistic. The point is that just as while viewing the Pakistani army’s institutional wellsprings for its military actions, the focus on similar thrusts from within the Indian army must not elide analyses. An institutional argument for exiting counter insurgency commitment is not the best line to take. Because counter insurgency is having a negative effect on the army is not the quite the reason to advocate other-than-military-operations counter to insurgency. The realist argument is perhaps the more saleable one. The institutional argument is not one the military can easily admit to and the realist argument is one that it can acknowledge and sell to the political class better. The argument made here is that the army has fallen into a trap set by Pakistan and it has done so with open eyes. This is a criticism seldom heard, especially in a day and age when speaking bluntly is mistaken for sedition. But then retaining institutional good health and regaining an uncluttered realist(ic) picture implies stating and hearing some home truths. While the army has tried to bring home to the political class that it needs to get its act together and address national problems politically, this has been somewhat low key. It leaves the political class the impression that the lid can continue on the army with army deployment. The bureaucratic class that interposes can be expected to reinforce this impression in the political class since it keeps the army from being professionally state-of-the-art and embroiled in internal squabbles. The resulting national security scene in one in which the army’s actions suggest it cannot rely on the diplomats to keep the external sphere tranquil and on home ministry bureaucrats to keep the internal sphere so. It sees itself as the answer, failing to see that the host populace in counter insurgency areas might think otherwise. Realistic appraising of its presence as part of the problem bothering the people can help it reappraise solutions. For instance, the graduated removal of AFSPA from either of the counter insurgency prone regions can do more for easing the insurgency than the respective army-based paramilitary in the two regions can do. In its environment scan the army needs factoring in its presence and its affects not only on the insurgency but vice versa too, of the counter insurgency on itself. The army’s disengagement should not imply a corresponding militarization of the central armed police forces or the provincial police service. The lesson from counter insurgency in Central India is that it is better to have the army undertake such operations than to have army clones incompetently led by men in khakhi to undertake the same. Asking for political solutions politically arrived at is a tall order. The Naga talks for instance are closing on to their third decade. A government that promised to deliver on these has lost its way midway into its tenure. Therefore, it might be a tad too pat to advocate a politically driven counter insurgency strategy. It is a liberal delusion. Since this finding leaves the army with the baby, it is best that army look deeper and for longer into the mirror held out for it here. It is clear from the nomination of the chief designate that the requirement of having operational experience is being taken too far. Operational experience is largely in the context of counter insurgency, the last war – Kargil War – having seen about a division worth of troops in actual combat. Counter insurgency experience is no guarantee of strategic insight necessary at higher military leadership levels. Without prejudice to the capabilities of the candidates involved, the selection was apparently on the basis of counter insurgency experience. This proves the point being made here that such deployment is now part of the service DNA. It is no longer taken as a secondary role, albeit one ably discharged. It has now a defining function for the army. As pointed out here this is not entirely welcome. There needs to be a break out from the counter insurgency cul de sac. The realist perspective needs to be adopted afresh to view the insurgency as a Pakistani ploy to tie down the army. The current doctrinal answer that this then entails continuing army deployment has to be debunked in first place. The comfort levels with this argument are such that even where Pakistani hand does not exist or exists only potentially and marginally, such as in the north east, the army continues its deployment. This indicates that there are institutional blinkers on, which can only be jettisoned once a realist lens is put back on to see such deployment in all its negative finery.